When you sell an asset like a stock or equity mutual fund after a year – in some cases, like Gold, or debt mutual fund, three years – you need to pay long term capital gains tax. Equity mutual funds where more than 65% of the holding is equity don’t have long term cap gains tax currently, and neither does stock held for over a year – in both cases, you will pay a Securities Transaction Tax on the sale. 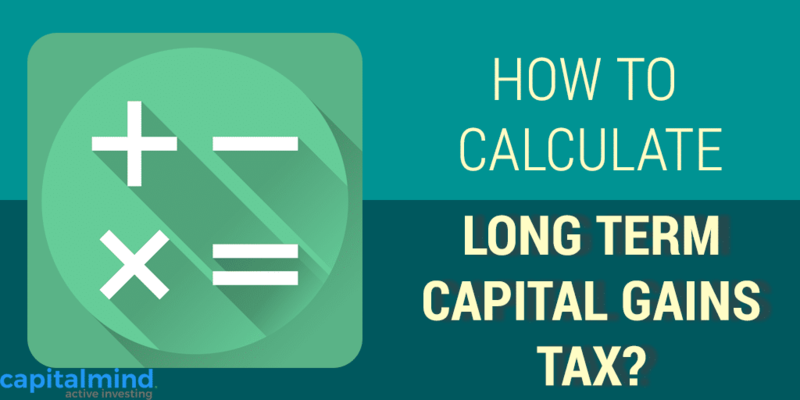 There are two ways to calculate Long-Term Capital Gains Tax. The government understands that you might buy a product this year, but sell it after a few years. But in the process, inflation has destroyed the value of your money – i.e. what might cost Rs. 100 today might cost Rs. 130 in five years (assuming 5.4% inflation – remember, inflation is compounded). So if you sell the product after five years for Rs. 150, your gain really is Rs. 20. To calculate this actual gain, the Income Tax department releases a cost-inflation-index (CII) figure every year. Usually, in May, it will release the CII for the last financial year – so the CII for 2010-11 will be released in May 2011. And it’s not easy to find; but luckily enough people get to know and Google becomes a good friend. Indexed Cost of Acquisition = (Actual cost of purchase) * (CII Of Year of Sale)/(CII of Year of Purchase). Capital Gain = (Sale Price MINUS Indexed Cost of Acquisition). a) Indexed Cost of Acquisition = 50,000 x (148/137) = 54,014.
b) Capital gain = 55,000-54,014 = 986.
c) Capital Gains tax = 20% of 896 = Rs. 197. The indexation benefit allows you to let inflation take its toll on the purchase price; there is no such allowance for “short term” capital gains, in a mutual fund or stock sold within a year of purchase. In that case, the gain (non-indexed) is simply added to your income and your income is taxed appropriately, and that effectively means short term capital gains are taxed at the highest slab that applies to you. The indexation benefit also substantially increases your post-tax return when you use a mutual fund rather than, say, a fixed deposit. The mutual fund is indexed for inflation, but the FD return is not (even the annual interest for a multi year deposit is added to your gross income and taxed). FIIs Got Hit by Minimum Alternate Tax of Rs. 40,000 cr. ; All Because of Capital Gains Taxes! How did the Budget 2015 Change Taxation in India? To make life a little simpler, there is an allowance to ditch the entire indexation concept, where you have sold a mutual fund (or a stock outside the stock exchanges, say in a buyback offer). The idea is: your non-indexed capital gain = Sale Price MINUS purchase price. On that you pay just 10%. You can choose with indexation or without indexation for every asset sale for the total capital gain that you have. In some cases it may be better to pay just 10%. For instance if you bought a private company’s shares 10 years ago, chances are it has multiplied so much that any amount of indexation doesn’t cut much into your profits; you are then better off paying 10% of the unindexed gain rather than 20% of indexed gains. Note: Reader Px noted that the IT department may not allow part of such debt mutual fund gains to be indexed and part not to be. This means you have to calculate your total gains with such indexation, and then without such indexation. Then see if the taxes are different on the two. That makes sense, but is complicated in the sense that you don’t get the best benefit on your assets if you sell a lot of them. But I admit – this looks like something the IT department will allow more than my earlier assumption (i.e. choose indexation or not for each asset sale). I have changed the post – my apologies.